The Canadian city in British Columbia has released its strategy to adopt 100% clean energy by 2050. City councilors have officially green-lighted the goal of switching Vancouver to total renewable energy use over the next 35 years, which means implementing a variety of green strategies, among which includes increasing the development of passive houses, extremely energy efficient homes. Currently Vancouver obtains just over 30% of its energy from green sources. The target of the Vancouver’s Renewable City Strategy is to lower greenhouse gas (GHG) emissions by 80% below levels in 2007. In 2007, the city’s GHG emissions were about equal to 1990 levels. Presently, 31% of the city’s energy comes from clean energy sources. It is likely that about 40% of the buildings that currently exist in the city will be replaced with new structures that will be built to meet carbon neutral standards, while those that are not replaced, will undergo deep retrofits to improve energy performance. Passive houses could help the city reach its renewable energy goal by moving away from natural gas. 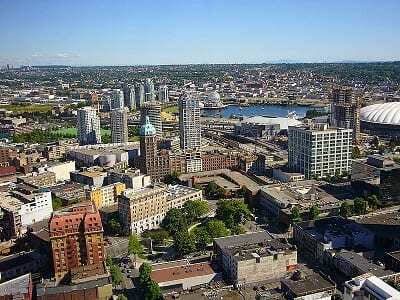 An estimated 45% of all energy used in Vancouver is the result of heating buildings with natural gas. This is according to the Renewable City Strategy, which also recommends building passive houses to wean the city off of its natural gas use. A European standard Certified Passive House is extremely insulated and is built with thick walls, windows and floors. Architect Alison Holden-Pope from One SEED Architecture explained that these houses use between 80 to 90% less energy than a standard house built in Canada and 60% less compared to a house that meets Vancouver’s new green building code, reported Metro News. According to Holden-Pope, although the buildings are more costly they save money in the long run because they don’t need as many mechanical systems to keep them going. As part of its renewable energy goal, the city will mandate by 2030 that all new buildings meet zero emissions standards, which may include passive houses with solar panels.